This is the second consecutive year that the company has featured in the report. 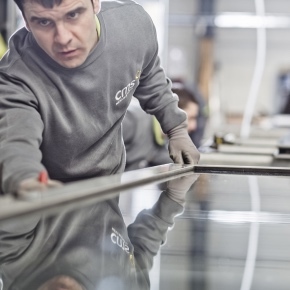 Based near Glasgow, CMS Window Systems manufactures all its energy-efficient windows, doors and curtain walling products in a resource-efficient way, with landfill waste virtually eliminated, and it recycles all the windows and doors it extracts during replacement projects. These post-use products are separated by CMS into their constituent materials at its two recycling plants, ensuring waste PVC, timber and metal is re-processed rather than being sent to a landfill. In just over a decade, the company has grown rapidly to now employ over 250 people. CMS conducts a highly sustainable, ‘closed loop’ approach to business and client projects and provides employment opportunities in addition to supporting the local communities.